This post may contain affiliate links, meaning that I may earn a small commission if you make a purchase. See our disclosure policy for more information. If you love carrot cake, I owe you an apology. Like, really… I do. I’ve been holding out on you. 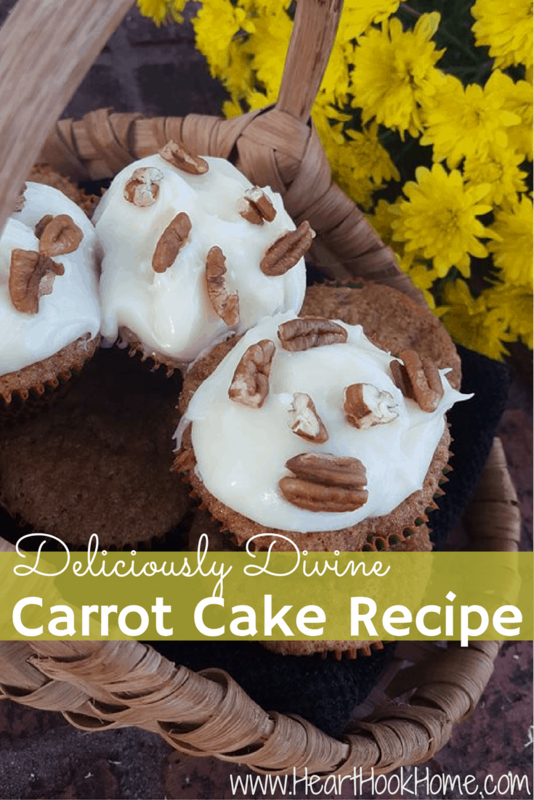 So I am sorry I’m just now sharing this wonderful recipe (but you’ll forgive me when you try it, because this is the HOLY GRAIL of carrot cake recipes)! It is moist, delicious, flavorful, and oh so good! And yes, even easy to put together. 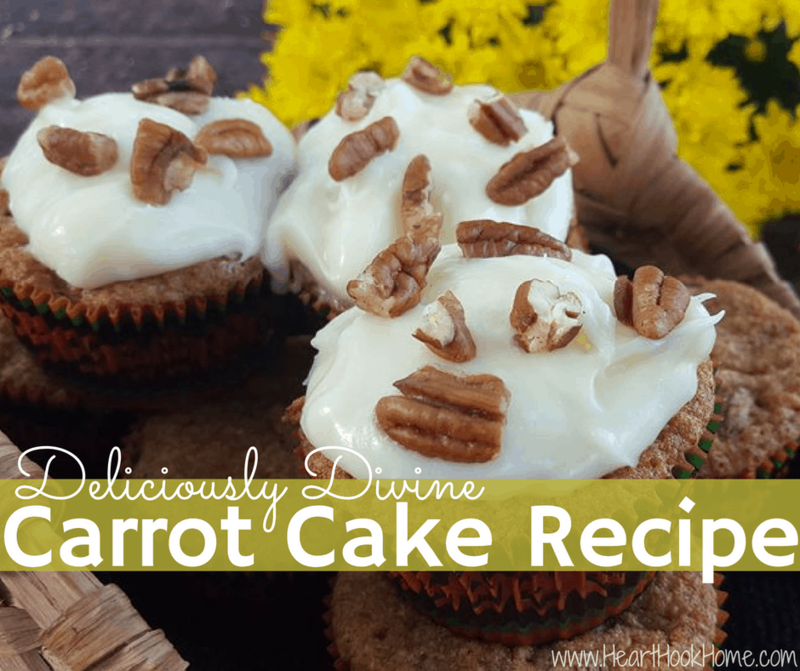 And carrot cake HAS to have cream cheese frosting, so I’ve included that recipe as well! This recipe yields an 8×10 cake, 2 small round cakes, or roughly 30 cupcakes. Preheat oven to 350°. In a large bowl cream the sugars and butter. In separate bowl combine flour, baking soda and baking powder, cinnamon, and salt. Add dry ingredients alternating eggs. (ex, add a bit of flour mixture, mix, add an egg, mix, flour mixture, mix, etc) Add vanilla and mix. Lastly, add in carrots and pecans and mix. 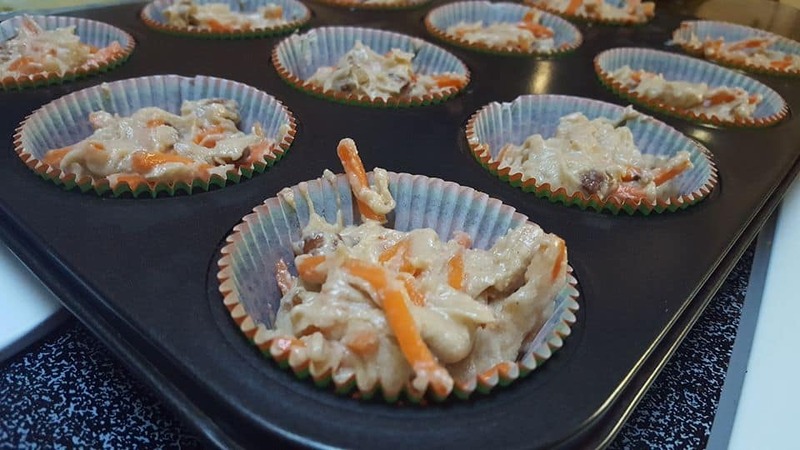 Pour into your prepared pan or cupcake liners, and bake. Will take approx 25-30 mins for cake and approx 20-25 mins for cupcakes. PLEASE check for doneness with a toothpick. This cake is easy to over/under cook. Combine cream cheese, butter, vanilla, and TWO cups powdered sugar. Once well mixed, taste. Add more powdered sugar as needed. Easy Cheesy Spinach Quiche Recipe – Freezes Well! Breakfast Pizza Recipe: Quick, Easy and Delicious! Hi! 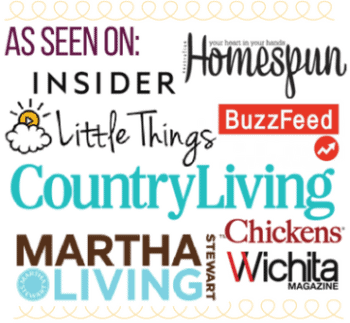 I’m Ashlea, the Kansas mom, and wife, that runs this crochet, food, and heart (CHD) blog. 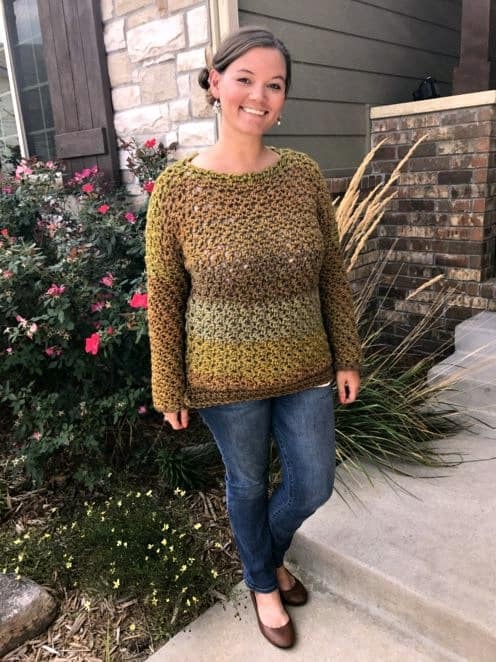 I am a frugal, yarn loving crochet addict that enjoys good food and fine wine – or an occasional whiskey. 😉 Read more about me here.